FHR: So Derek, before we get into the lightweight philosophy stuff, tell the readers a little bit about your backpacking credentials. Derek: Well I started backpacking in the San Gabriels when I was young, and I liked it, but I wasn’t hooked until I took my first trip to the High Sierras with the Boy Scouts of America when I was about 12. I ran for Senior Patrol Leader of my troop just so that I could ensure that the troop would be backpacking-focused. Every year before I got my Eagle, I led 6 – 15 guys on a 10 day trip in the High Sierras, except one year, when we did a 16 day, 150+ mi. hike through the Philmont Scout Reservation. During college I didn’t do much backpacking beyond weekend trips in the mountains east of Santa Barbara, but a year after graduation I set out to thru-hike the Pacific Crest Trail. FHR: What is the Pacific Crest Trail? Derek: It is a National Scenic Trail that runs just over 2,600 miles from Campo, California to Manning Park, British Columbia. FHR: And what exactly does thru-hiking entail? Derek: Well the mountain passes along the trail are only open between about April at the earliest, and early November at the latest, so there is a short window during which time you can hike the whole trail continuously. That is a thru hiker’s goal, to do the entire trail in one shot, and the time constraint makes it very challenging. FHR: So you hiked the whole thing? Derek: No. As with many thru-hikers, injury prevented that. I hiked 1,000 miles from Campo to South Lake Tahoe. I like to say that I thru-hiked the John Muir Trail, and did a serious section-hike of the PCT. But the origins of my failure is actually a large part of why I was so insistent that it would be better for “Girl” to carry less weight. FHR: OK. Let’s get into that. You say that there may be a potentially dangerous miscalculation in my set up. Derek: Yea. Well let me just start by saying that I’ve obviously not been thinking about this stuff as long as you have. Before you started telling me about your prepping I didn’t even know normal people took this stuff so seriously. 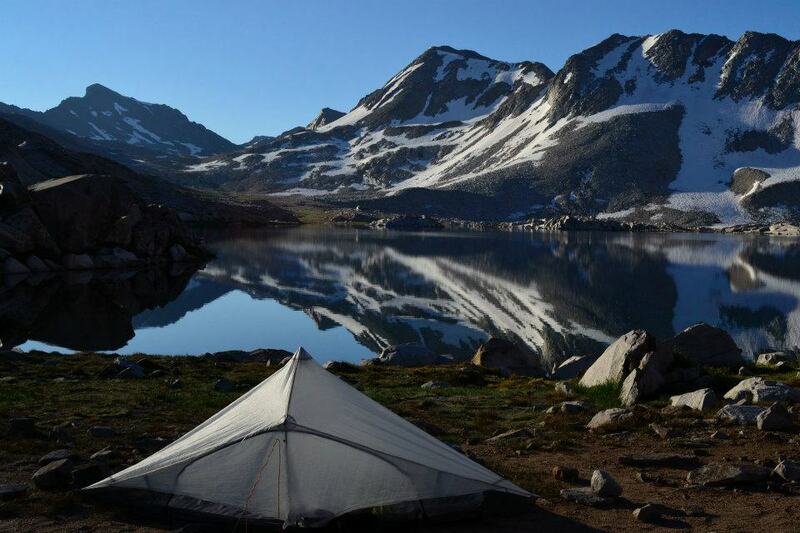 So before I start telling you your business, I just want to clarify that I’m only bringing it up because I had been backpacking for years and had never heard of lightweight or ultralight philosophy, so I thought you might not have either. That being said, I do think that it could really inform some of your decision making. FHR: OK. Disclaimer accepted. Shoot. Derek: Well my beef with “Girl” carrying so much goes back to the troubles I ran into on the PCT. Following the timeline of the story, it seems like her and Rob were walking for a good couple weeks. And she was carrying 1/3 her body weight? That is A LOT. Now I know that traditional backpacking wisdom says a pack should be about 1/4 to 1/3 of body weight, but I can assure you that 1/3 is just too much. 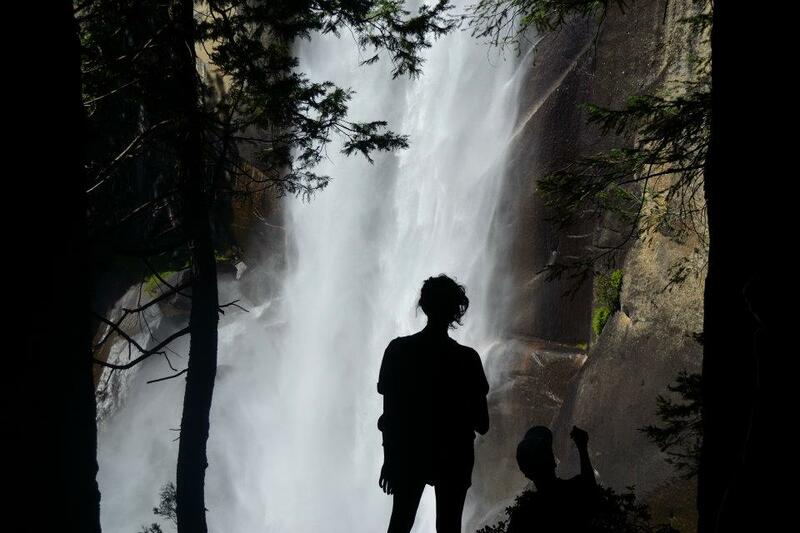 It’s too much for a recreational backpacking trip, and it’s DEFINITELY too much after shtf and you are thinking about speed and flexibility as serious safety considerations. 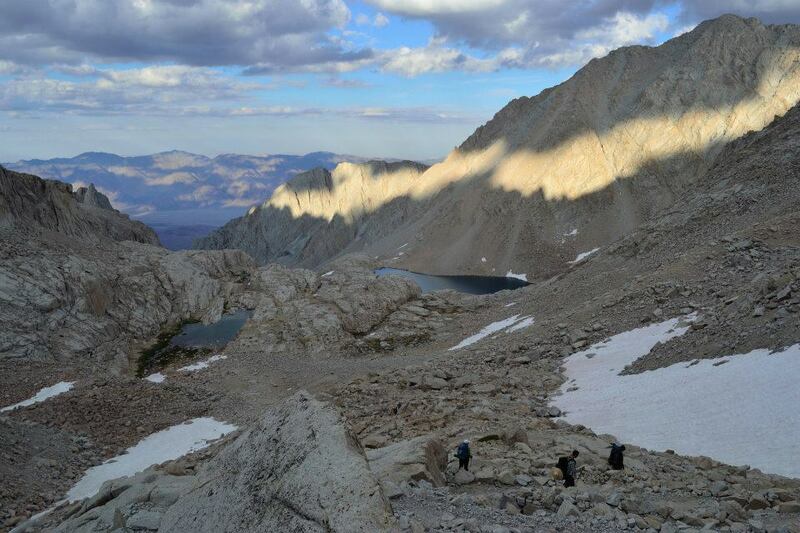 FHR: When I hiked the John Muir Trail, I was carrying a pack that weighed something like 80lbs, and I did alright on terrain that is much harder than anything you’ll encounter while fleeing a disaster. Derek: Yea but you are a beast. And you have told me before that you were in the best shape of your life at the time, and that it was hard. The BOB needs to be packed so that you can effectively carry it whether it’s the week after Christmas and you’ve been feasting for a month straight, or it’s March, and you’ve been dedicated to your resolution for two straight months. Also, for the 95% of the JMT that is part of the PCT, the average grade is never more than an 18% over the course of an entire mile. In “Girl,” it seemed to me that they were doing a lot of off-trail travel, and regardless of how gnarly the mountains you’re walking through are, going cross-country is always going to be more strenuous. FHR: So what would you say is a good weight? Derek: Well you are right to base it on body weight. “Boy” can obviously carry a larger number of lbs. than “Girl.” I’d say you should set 1/6th as your goal, and do your absolute damnedest to hit it. Definitely do not settle for anything over 1/5th. FHR: I wasn’t throwing anything extraneous in that bag. In order to reach those targets I will have to cut a lot of weight. To reduce the weight that much, a lot of important stuff would have to be left behind. Derek: I know that you very much had weight in mind when you packed the BOB. I just think the calculus was probably weighted more heavily on the side of “benefits of having this,” than “negatives of carrying it.” Not that the stuff isn’t important, but rather that it’s easy to underestimate the downsides of extra ounces if you don’t take into account the cumulative effect of walking all day, every day, day after day, for weeks. FHR: So you think that a 4 week trip is more than twice as hard as a 2 week trip. Derek: Exactly. On the PCT, I had only hiked from Campo to just south of Big Bear Lake when I got a stress fracture in my left foot. That’s about 275 miles. Like I said earlier, I had done multi-week backpacking trips before. On that Philmont trip I even got close to 200 miles. But like you said, the effect of the miles on your body isn’t linear. FHR: So how much did your PCT pack weigh? Derek: When I started the trail, I weighed 210lbs, and my pack weighed about 37 with food and water. That’s about 1/6th. FHR: But you said that 1/6th – 1/5th was a decent range, and here you broke your foot carrying the low end. Derek: Well those ratios should be a little bit flexible. All body lbs. are not created equal. When I started, I was 20lbs. over trail-fit weight. That’s essentially the same as carrying 20lbs. of extra packweight. If I take those lbs. off my body weight, and put them on my pack weight, my ratio goes up all the way to 1/3rd. Obviously you cannot actually factor in extra bodyweight like that when you are calculating the packweight ratio of your BOB, but you should definitely keep it in mind. If you are overweight, maybe you should adjust the ratio to 1/7th – 1/6th, whereas if you backpack every weekend and your legs and general low-level cardio are in absolutely peak condition, then you could probably adjust it to 1/5th – 1/4th. A special caveat here: if you are super jacked, your physical prowess does not necessarily translate to your ability to carry a load over long distances. Large muscles, especially those of the upper body, but even to a certain extent leg muscles, might easily be placed in the “extra weight” category. You just don’t use them walking long distances at speed. Nothing speaks to your ability to do that other than how much time you have spent doing it. Obviously runners will be better off than body builders, but even running is a different kind of endurance. Low-level cardio is a fitness all its own. FHR: OK. So basically your thesis is that an injury is more of a problem than not having any particular piece of gear. Derek: Yes. Well that’s an important part. In a post-shtf world, a broken foot would be a disaster. I could barely walk, let alone walk and carry a pack; and I definitely would have been useless if a situation warranted any kind of evasive movement. If “Girl” had had a stress fracture when those baddies found the jeep, Rob would have had to kill a bunch of fools in order to save her. And a stress fracture isn’t the only thing to worry about when it comes to heavy pack weights. You could develop patellar tendonitis, or you could get shin splints. You are also more likely to get blisters. That may not sound that bad, but let me tell you, a really deep blister will incapacitate you, or at the very least cause you to hike in sandals, which, as I found out on the PCT, is just asking for trouble. FHR: So you said weight is one part, what are the other parts? Derek: We’ve talked about the negatives of carrying a heavy pack. I’d also like to point out some positives of carrying a light pack. Say you are carrying a pack that is 1/7th of body weight. That pack is not a burden. If your harness fits you correctly, you won’t even really notice it. 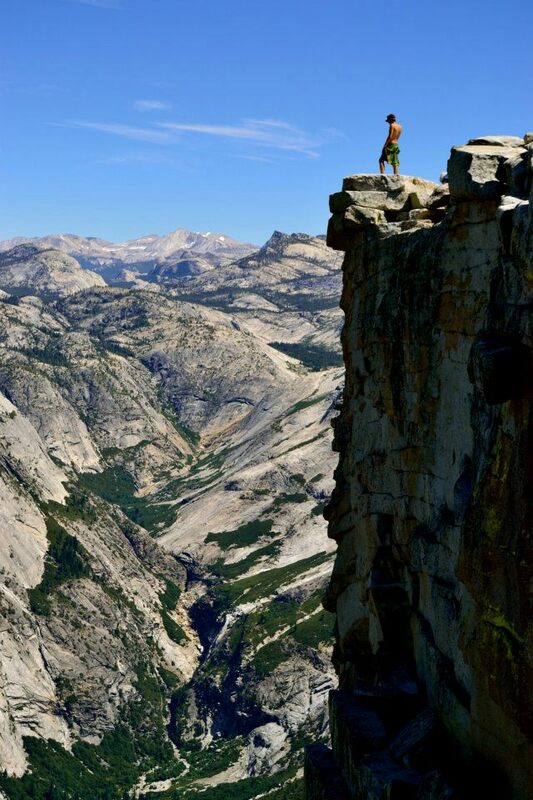 By the time I got to the JMT, I had shed 10 lbs of packweight and 20lbs. of bodyweight. When I was running low on water, my pack weighed about 20lbs, meaning that I had gone from an effective ratio of 1/3rd to an actual ratio of under 1/8th. I found myself leaving my pack on during lunch breaks without even noticing. When your pack is that light, you find yourself doing everything – eating, resting, going to the bathroom – with your pack on. In a shtf situation, that would be a major bonus. If “Girl” was carrying 1/3rd her body weight, she was taking that thing off every chance she got. When the pack was off, if there was a need to make a quick get away, she’d either have to take time saddling up, or she’d have to abandon her stuff. FHR: OK. That makes sense. Any other benefits? Derek: Definitely. Scouting is so much less a task when you are carrying a light pack. Instead of leaving one person with the gear while the other runs a ridge to see if there are hostiles ahead, or hikes down a canyon to see if there are any good sleeping spots near the water source, you can just both go with your gear. That way, no one has to split up, and if there is a good camping spot, no one has to back track. You just set your stuff down and your home. Or, if there are hostiles on the trail, you can set out on your detour from your current position, keeping the hostiles in view the whole time, instead of walking back down to the gear, during which time you would have no idea of their movements. FHR: That one I like a lot. “Let’s just cross this skree field instead of going around.” Broken Ankle. “There’s more water in 2 miles, just fill up one nalgene.” Seasonal stream. Dehydration. FHR: OK. So you’ve laid out your logic on why you should carry a light pack, and it seems sound, but you didn’t really address the obvious question: what do I leave behind. It’s not like “Girl” was carrying around a hair straightener. If shtf, you need the guns and ammo and the water filtration, and all of that stuff is heavy. Derek: This is where we get in to the nerdyness of going light. The first thing you have to do is buy a digital scale that reads accurately by the oz. Then start by weighing your big three. Derek: Your tent, your sleeping bag, and your pack. Check to make sure that none of them are way heavier than necessary. Most people don’t think about the pack, but it is one of the heaviest pieces of gear you carry. Some people who get their packweights really low opt to carry frameless backpacks in order to further reduce weight. Personally I don’t endorse this. I’ve never owned one, but I did a lot of research, and from what I read they become very uncomfortable with packweights above 20lbs. Being miserable carrying 20lbs seems silly to me when you could be perfectly happy carrying 22lbs. with a frame. FHR: What about the tent? Derek: Definitely look into tarps or tarptents. Anything you can pitch using only chord, or only a trekking pole and chord. I used a Z-packs Hexamid Solo. It’s unique in that it’s one of the only tarptents that’s long enough for me, and includes bug protection. It only weighs 16oz, including steaks. I don’t really want to get into gear specifics though. This post would be 50 pages. Instead, I’ll just say check out backpackinglight.com (BPL). You have to sign up and pay for a membership in order to read most of the articles, but as a one-time expense, I’d say it’s definitely worth it. Anything you want to know regarding going light is on that website, and they have gear reviews of all the obscure, guy-in-his-garage gear companies that you might not be able to find otherwise. Most of the best ultralight gear is being made by a few passionate dudes in a workshop, and is only sold on-line, so having a spot where you can go and find out about all of it is pretty invaluable. FHR: Any general advice on the sleeping bag? Derek: Just that you need to consider where you live. If you live in Southern California for instance, you will never need a bag rated to 0 degrees. Get a bag or quilt rated to 30 degrees, and wear all your clothes to bed. Remember whenever you are considering a piece of gear, this is not a pleasure cruise. It might not be ideal to sleep in every item of clothing you brought, but it will be worth it during the daytime when you are carrying that stuff. FHR: So once you get your big three dialed in, then what? Derek: Then comes the hard part. You need to take that digital scale, weigh every single piece of gear, and make difficult decisions. I look at it like weight watchers versus a crash diet. You don’t cut out all carbs (read: binoculars). Instead, you bring the binoculars if they are important to you, but skip the chicken wings the next day (read: lighter sleeping bag). This may sound incredibly nerdy, but before the PCT I weighed everything, then created a chart of what percentage of my packweight each item, and category of items, accounted for. Then I took those percentages and compared them against how much I suspected I would value that, or those, items. Camera equipment accounted for over 1/5 of my total pack weight. I gave up an insulating layer but kept all the camera equipment and never regretted it for a second. In your case, guns and ammo could be that 1/5th. The trick is just to think of that goal number as a hard cap. As in “29lbs. is my ceiling. My pack weighs 2.5lbs, my sleeping bag weighs 1.8lbs, and my tent weighs 1lb. I have 315.2 oz. to play with. PERIOD.” The ultimate slippery slope is when you look at small stuff and start saying, “well this bandana is over weight, but it will be worth it.” If it’s worth it, cut something out. FHR: So when you say “packweight,” are you talking about just gear, or does that include food and water. Derek: I’m sorry. I should have defined terms earlier. That absolutely includes food and water. When you calculate your packweight you should include the maximum amount of food and water that you are ever likely to carry during your trip (escape). The weight without food and water is your baseweight. The baseweight is obviously what you are going to be making most of your adjustments to, but that’s not to say there are no improvements you can make to your food especially in order to reduce weight. Derek: It’s a common mistake to think that the lightest food is the best. A lot of the classic backpacking staples, like top ramen, are light in terms of oz/meal, but when you factor in how nutritive they are, it becomes apparent that you could be doing better. In general, if you maximize calorie density, you will minimize weight and maximize nutrition. Things like peanut butter, salami, cheese, and any kind of nut are very calorie dense. My favorite calorie densifyer* is olive oil. Instead of bringing two packages of freeze dried food, bring one and pour a bunch of olive oil into it. You will get more calories/oz from the olive oil that you added than you would have from that second beef stroganoff. That is what you are looking for: calories/oz. When the shtf, and you are running out the door, grab some snickers and a couple of unripe avocados. The snickers are the best instant energy boost that exists, while avocados keep gloriously in a backpack for 2 or 3 days and are super calorie dense. FHR: Interesting. Anything else on food? Derek: Yea just one more thing. Timing is everything. Remember how I was saying that ramen isn’t a great backpacking food? Well that’s not entirely accurate. Ramen is actually a pretty decent lunch. It’s just a terrible dinner. The carbs in ramen are good fuel if you have more hiking ahead of you, because they are easy for your body to break down. Ramen is also very salty, which is good because your body will lose salts as you sweat throughout the day. But most people eat their hot meal for dinner, and ramen is a bad dinner food for two reasons. The first is because it is low in protein. After a long day of walking, your body needs protein so that it can rebuild torn muscle fibers during the night. It is also a bad dinner because most of its calories come from carbs, which means that most of the fuel will be spent before the night is over. This isn’t a big deal when you are at home, because you are in a nice comfy bed, but if you have brought a sleeping bag that is a good balance between warmth and weight, then you will need that metabolism to be going all night in order to keep you warm. The best dinner foods are high in protein and fat, which burns slow but very hot. That is why I like to switch up my hot meal and cold meal. I cook at lunch, because most hot meals are high in carbs, and I eat my cheese and salami for dinner. In a shtf situation, cooking at lunch would also be good because your fire or stove would be less visible during the day. FHR: OK. Well thanks for doing the interview. Anything else you want to tell the readers before you go. Derek: Carry little, resupply often. Caches are your friend. You shouldn’t have anything on your back that you do not absolutely need between Point A and Point B. If you can’t get your baseweight down far enough to bring your packweight below your goal, just put more caches along your route. That way you wont have to carry as much food. If you stock those puppies up and go from one to the next as fast as humanly possible, you will be safer and less prone to injury. FHR: Good stuff. Thanks again. This entry was posted in FHR Theory, Food, Training and tagged backpacking, bug out, Food, Girl, Prepper, shelter, shtf, Skills, Survival, Teotwawki, Training, ultralight. Bookmark the permalink. I am the casting director for Doomsday Preppers, the highest rated show on National Geographic. We are now casting our last set for Season 2 in September and I would love to speak with you about it. Our goal for Season 2 is to educate our viewers about preparedness and provide important prepping takeaways. This is such a great opportunity for any prepper.